Out of sorts and out of the cup. Will West Ham find the motivation to perform on a cold Tuesday evening just 34 miles from Stoke? Or is this the start of a long fade out to the season? Nothing says the West Ham way better than being dumped tamely out of the FA Cup by lowly opposition. 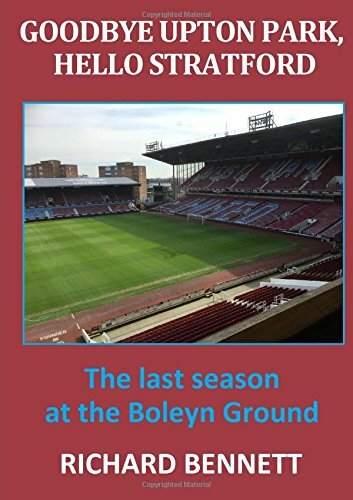 Managers and players may come and go but the universal law of West Ham banana skins remains that pretty football without an underlying steely determination will always prove vulnerable against a resolute and tenacious opponent. It is perverse that the club’s only chance of silverware this season was not seen as its top priority rather than a place or two in the Premier League. You could make a case that even our second string should be easily good enough to see off a side floundering at the bottom of League 1 – even if they do put out their first team. To some extent being drawn against another Premier League team in the early rounds of the cup would be a more attractive option – a level playing field of squad players. It was unfortunate for our cunning squad management strategy that the manager’s preferred style of play is way beyond the competence of all but a handful of his available squad. Those brought in to make up the numbers simply lacked desire. Today’s opponents, Wolverhampton Wanderers, almost slipped up on their own banana skin against Shrewsbury Town but fought back for a scrambled draw to keep them in the hat as one of only seven Premier League sides remaining in the 5th round draw – each of whom will be jostling for the privilege of eventually losing to Manchester City in the final. They do, at least, have something else to aim for other as well as the questionable distinction of finishing the season as best of the rest. My very first recollection of any televised football match was when Wolves beat Blackburn Rovers in the 1960 FA Cup final – back in the day when players were usually called Harry, Ron, Eric, Eddie and Bill. Wolves were an elite side at the time but have since experienced as long a barren spell as the Hammers. In fact, their last success was lifting the League Cup in the same season that West Ham triumphed over Arsenal at Wembley in the Challenge Cup. In tonight’s game it is reported that we will see the return of Marko Arnautovic to the West Ham starting eleven – unless there is yet another surprising U turn halfway up the M6. This has been a very strange episode even for West Ham but, for a club with so few viable striking alternatives, a compromise agreement (even if it turns out to be short-term one) makes more sense than leaving him stewing in the reserves or letting him leave on the cheap. The rest of the starting eleven pretty much picks itself, not because of the excellence of the incumbent players in their most recent outings but due to absence of feasible options – at least until the injury situation improves. Motivation will be key in the game as another slow start would be suicidal. Will the manager’s wrath after the weekend be enough to inspire? Will there be any leadership on the pitch? Will the players be wearing scarves as well as gloves? It’s as much about attitude as it is ability. Wolves can be well pleased with their first season back in the Premier League and under the guidance of a manager (whose name commentators cannot resist repeating at every opportunity), Nuno Espirito Santo, they have a side that are always prepared to give it a go – regardless of the reputation of the opposition. Their style of play, with plenty of energy and intensity, is of a type that has regularly unsettled West Ham this season. If Moutinho and Neves are allowed to dictate the pace and direction of the game, then the Hammers could be in deep trouble. Wolves are not the most threatening up front but in Traore have a player whose primary attribute is the ability to embarrass West Ham defenders. Much will depend on the returning Declan Rice to prop up the centre of midfield (how he was missed at the weekend) and the talents and probing of Samir Nasri and Felipe Anderson in providing ammunition for Arnautovic. New ref on the block, David Coote from Nottingham, is with us for a second time today and I hope we can impress him more than we did up at Turf Moor. Coote has something of a card waving fetish have sent off five players this term. Watch out for those late, mistimed tackles lads! Lawro and Merson are unanimous in predicting a Wolves home victory by 2-0 and 2-1 respectively. It seems impossible to argue with them on the basis of the last two performances with the best hope being that the teams consistent inconsistency will come to the rescue. Having rested on their laurels long enough following the Arsenal win maybe a different team will show up tonight. Perhaps Arnautovic will have a point to make and inspire us to a 2-2 draw! Nice article. Reading this as a Wolves fan, your performances seem like ours this season. one game we look like we could easily beat anyone(maybe not Man City) and the next game we look like relegation candidates. Home advantage is the only reason i am going for a Wolves win tonight but not counting any chickens. The burden of being a football fan. Let’s hope it’s an entertaining game. Next Next post: Liverpool visit West Ham – will we see the next Premier League winners tonight?